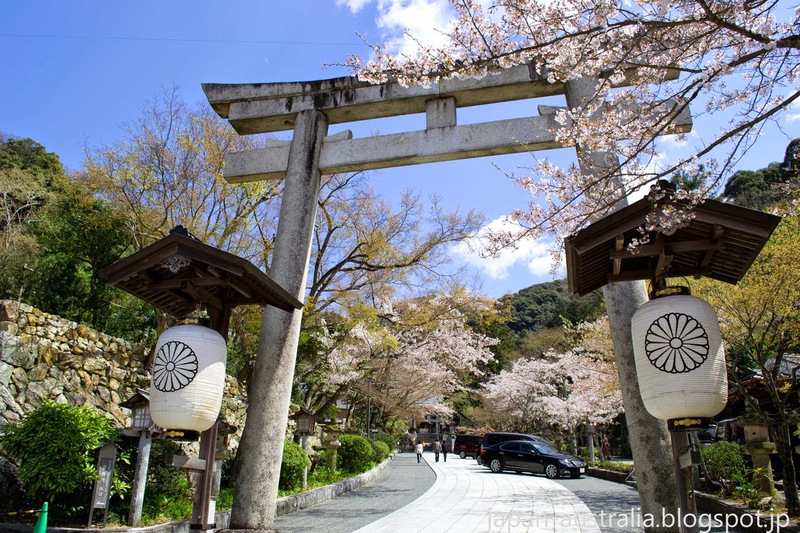 Inaba Jinja Shrine (伊奈波神社) is a Shinto shrine located at the foot of Mount Kinka in Gifu City, Gifu Prefecture. The shrine is one of the three major Shinto shrines of Gifu City, and is the biggest and most famous. It is a popular spot for hatsumode (first shrine visit of the New Year) and Shichi-Go-San. 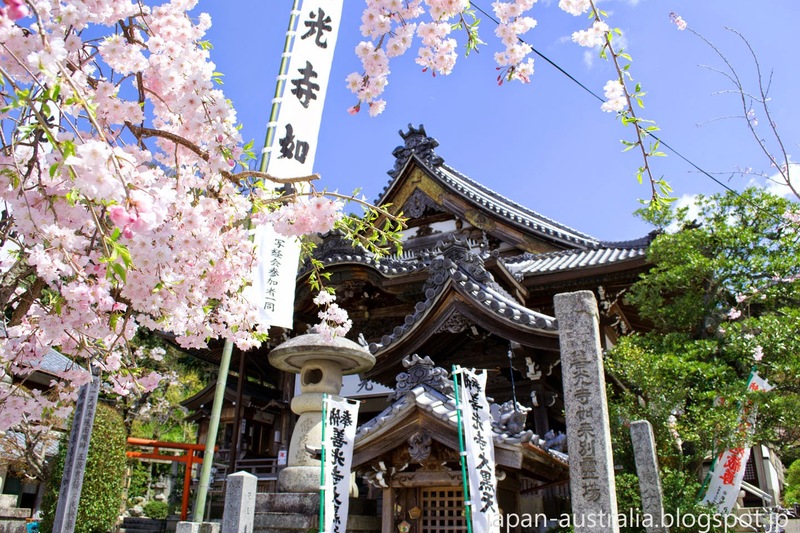 The shrine has a history of over 1,900 years and was first built in the year 85 AD when Emperor Keiko dedicated the land for a shrine. The god Inishiki-Irihiko-no-Mikoto is enshrined and worshipped here. 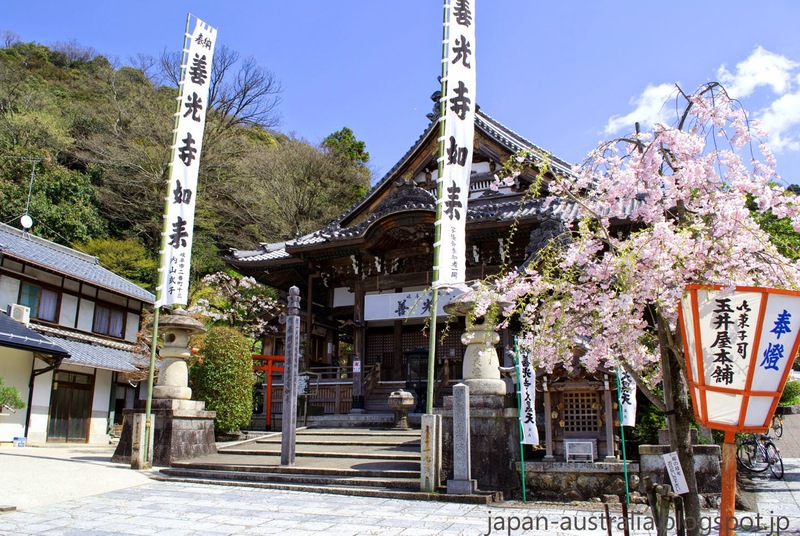 The shrine was moved to its present location by the samurai warlord, Saito Dosan in 1539. 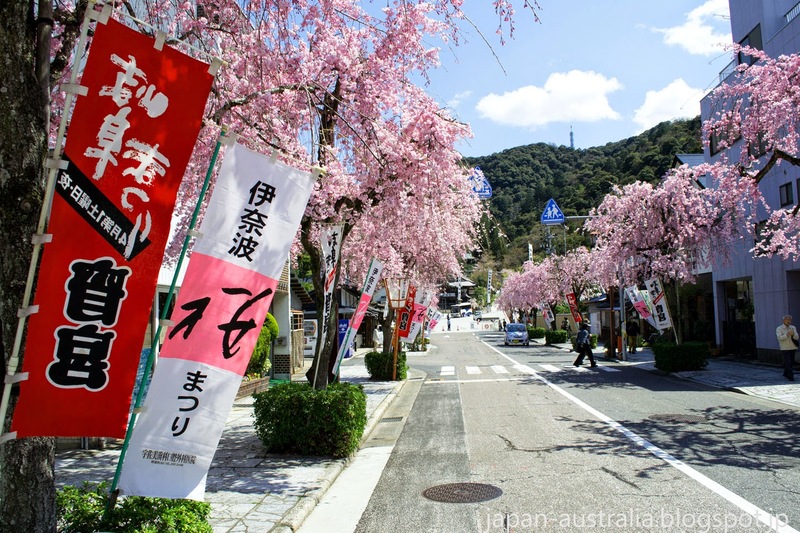 Saito Dosan is widely credited with creating Gifu City as we know it today, and has his own festival on the first Saturday of April, that honours his brave feats. I hope to blog about the festival in the coming weeks, so stay tuned. 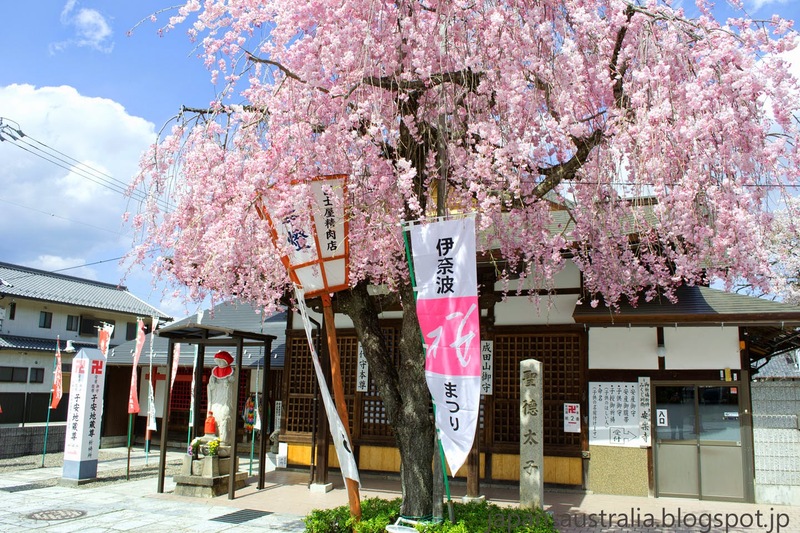 Inaba Shrine is also a popular spot in spring for the cherry blossoms. 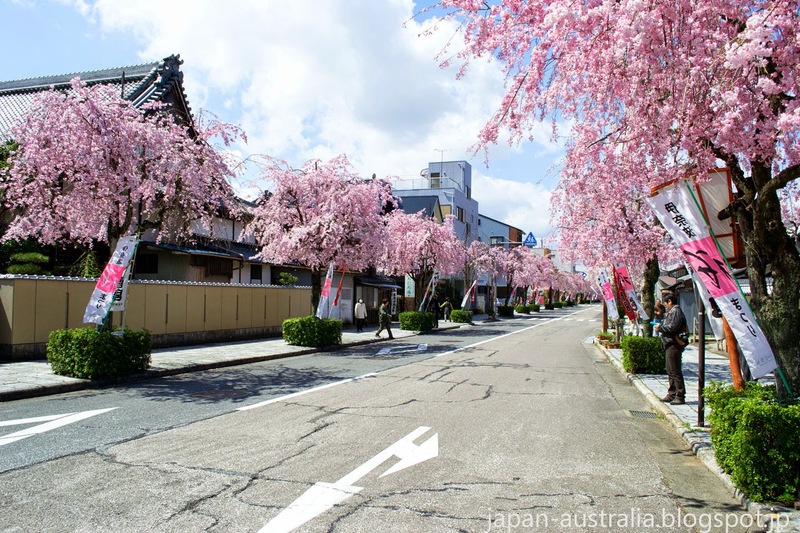 The road leading up to the shrine (Inaba-dori) is lined on both sides by weeping cherry blossoms (shidare-zakura), which are spectacular and reach their full bloom just after the regular blossoms here in Gifu. There are also a lot of food vendors near the entrance of the shrine, selling all kinds of festival food including favourites like yakisoba and taiyaki around the time of the Dosan Festival.. 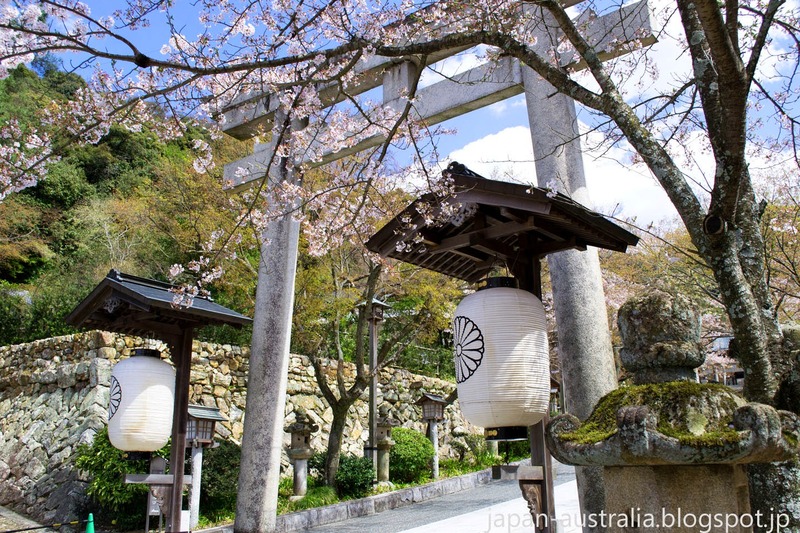 The main shrine torii gate is great spot for a photo or two and is very picturesque. 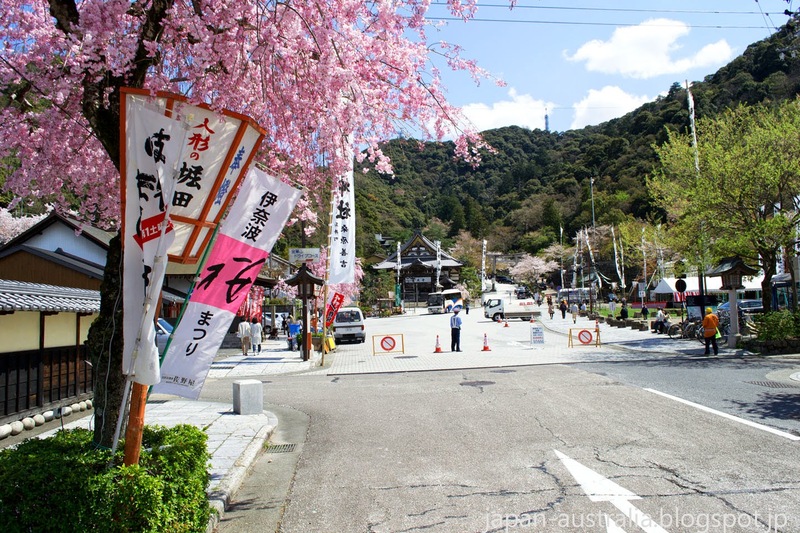 Inaba Shrine is only a short bus ride from Gifu Station. Get off at Inaba-dori bus stop and the shrine is only a 5 minute walk. And can't wait to read about the festival soon! Thanks Lina, It is a beautiful place. Hopefully in the coming weeks I'll put up a post about the Dosan Festival which starts and finishes at the shrine. 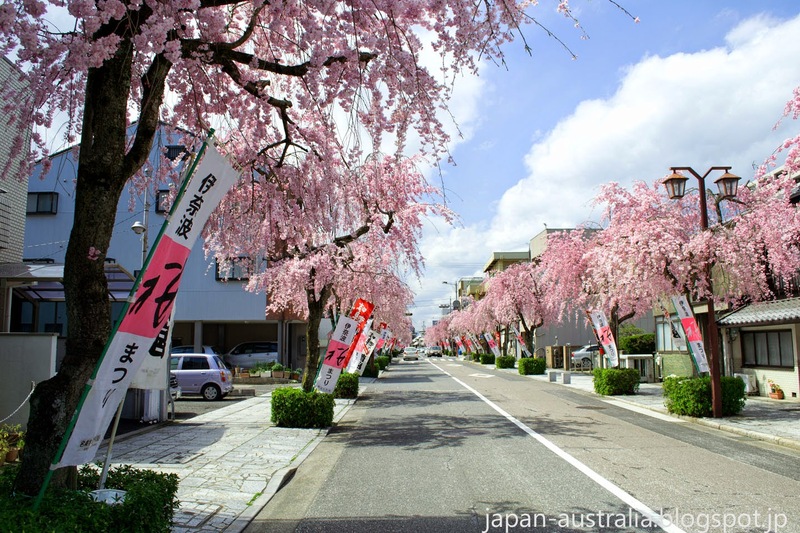 Thanks Cocomino, The colour of the cherry blossoms here is amazing. They change colour as well when they reach full peak to a white before falling to the ground. Beautiful photos indeed and great weather, too. Thank you Zooming Japan, The weather was pretty good during the day with blue skies, but we did have a little bit of rain that night for the night festival floats for the Dosan Matsuri. 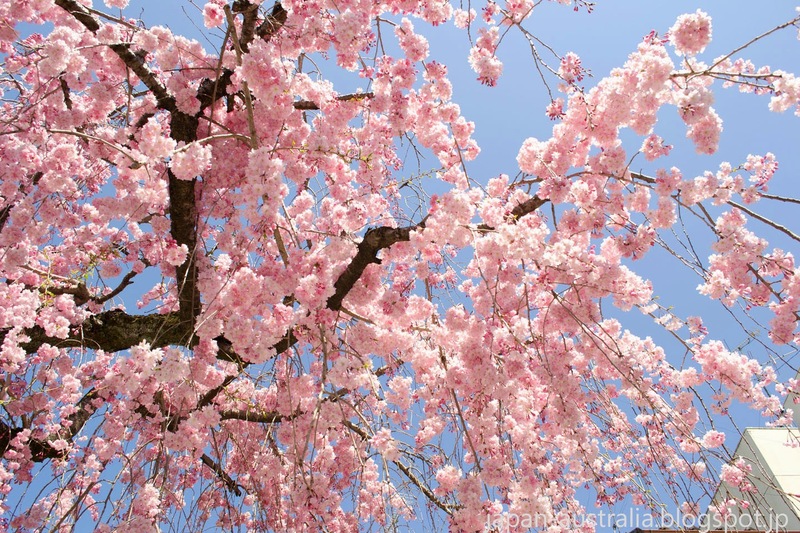 I'm a big fan of Shidare-zakura cherry blossoms as well and love the strong pink colour of the blossoms.